This protocol has been designed to study the completion of female meiosis and the pronuclear stage of early embryonic development (95). 1. Set up 5 egg-collecting cages with either 100 wild-type or mutant females mated to 50 wild-type males. Feed the flies with yeast paste on grape juice agar plates for 3-4 d at 25°C. 2. On the day of egg collection, synchronize the females' egg-laying activity by collecting eggs at regular intervals as follows: two collections at 30-min intervals and four collections at 10-min intervals. Discard these eggs (see Note 36). 3. Collect eggs from the synchronized females at regular intervals as follows: six collections at 5-min and 15-min intervals, respectively (see Notes 37 and 38). 4. Wash the synchronized eggs with normal tap water and put them in an egg basket or sieve mesh. 5. Remove the chorion membrane of the eggs by a treatment with commercial bleach. Monitor the process under a dissecting microscope. 6. Wash the dechorionated eggs thoroughly with normal tap water. Dry the eggs by patting the egg basket onto a filter paper. 7. While the eggs are treated with bleach, make up the fixative in a microcentrifuge tube. The fixative contains 500 |L of methanol and 500 |L of heptane (see Note 5). 8. With a fine paint brush, transfer the dried eggs from the egg basket into the microcentrifuge tube with the fixative (see Note 38). 9. Shake the tube for 2 min. Eggs that have lost their vitelline membrane will sink to the bottom of the tube. 10. Remove the fixative mixture from the microcentrifuge tube with a long-pulled glass Pasteur pipet, but leave the eggs covered with 50 | L of the lower phase (methanol) of the fixative mixture. 11. Carry the eggs through two consecutive quick washes with 1 mL of absolute methanol, removing the washing solution after each step. Use the long-pulled Pasteur pipet from step 10. Leave 50 |L of methanol on the eggs after each washing step. 12. Add 950 |L of ice-cold methanol to the tube and gently invert several times over a 5-min period. 13. Remove most of the methanol from the tube with a long-pulled glass Pasteur pipet, leaving the eggs covered in 50 | L of methanol. 14. Add 950 | L of ice-cold acetone to the microcentrifuge tube and gently invert several times over a 5-min period (see Notes 5 and 39). 15. Remove most of the acetone from the tube with a long-pulled glass Pasteur pipet, leaving the eggs covered with 50 | L of acetone. 16. Carry the eggs through three consecutive quick washes with 1 mL of PBS, removing the washing solution after each step. Use a new long-pulled Pasteur pipet. 17. Carry the eggs through two consecutive 5-min washes with 1 mL of PBT. Place the tube on a rotating wheel and rotate at low speed. 18. After the last wash, remove the eggs with a short Pasteur pipet from the microcentrifuge tube and put them in a small Petri dish containing 1 mL of PBT. 19. With a scalpel or razor blade, cut the eggs in half along their longitudinal axis and put them back into the microcentrifuge tube using a short Pasteur pipet (see Note 39). 20. Wash the eggs again with 1 mL of PBT as described for step 17. 21. Carry out the blocking by adding 900 |L of PBT and 50 |L of FCS (stock solution) to the tube. Put the tube on the rotating wheel and rotate at low speed for 1-2 h at room temperature. 22. Follow Subheading 3.1., steps 15-27. 23. Follow Subheading 3.5., steps 13-15. 1. Oogenesis is tightly controlled (see Subheading 1. ); therefore, it is essential to examine wild-type and mutant ovaries under optimal conditions. Germarial stages can be analyzed in newly emerged and/or 1-d-old females. Well-fed and 1-d-old females contain many egg chambers corresponding to stages 1-8 of oogenesis, whereas females older than 2 d should have fully matured eggs in their ovaries. 2. To study the expressivity and penetrance of an ovarian phenotype, it is advisable to collect and stain samples from several wild-type and mutant females at various time-points (1, 2, 3, 4-d, etc.) and in several independent experiments. 3. Dissect out and proceed to the fixation step as fast as possible, as empirical observations suggest that the quicker you fix the ovaries, the better the cellular structures are preserved. Prolonged prefixation treatments can alter the structure of the ovaries. 4. Unless otherwise indicated, perform the entire immunostaining procedure in a microcentrifuge tube. In addition to practical considerations, like conserving a limited supply of antibodies, the amounts of toxic chemicals and organic solvents used will be greatly reduced. 5. It is important to wear and make use of all the necessary safety and protection equipment, to minimize your exposure to any harmful or toxic chemical. Wear protective gloves and glasses as you proceed to the fixation step. 6. Do not exceed the indicated fixation time. Prolonged fixation may result in poor antibody penetration, leading to weak staining. 7. If an antibody is being tested for the first time, it is possible to substitute the blocking step with a simple incubation in PBT to gain information about the "total" binding capacity of the antibody. In the case of a high signal-to-noise ratio, the staining pattern should reveal the localization of the antibody-specific antigen(s). However, if the signal-to-noise ratio is low, it will be difficult to recognize any specificity; in such situations, blocking with FCS has to be conducted. 8. The precise blocking time with FCS must be determined empirically. In general, 1 h of incubation time is sufficient to achieve good blocking, which will significantly reduce the level of nonspecific staining. 9. Usually, the samples are incubated with the primary antibodies overnight at 4°C. Alternatively, the samples can be incubated for 2-4 h at room temperature. If a particular antibody is showing a low signal-to-noise ratio, try using different incubation times. 10. If a particular primary antibody gives a high background, it can be preadsorbed with excess of fixed ovaries (e.g., incubate an excess of fixed ovaries with the antibody at 10-40 times its final concentration) for 2-3 h. It is important to fix the ovaries according to the same protocol for both the antibody adsorbtion and the immunostaining. 11. In certain circumstances, the primary antibodies can crossreact with each other. This is particularly true for primary antibodies raised in closely related species like mouse and rat. One way to overcome this problem is to carry out a two-step or multistep incubation with the primary antibodies such that the samples are incubated with only one antibody at a time. 12. The secondary antibodies have to be chosen in light of the available microscope facilities. A set of fluorochrome-conjugated secondary antibodies, suitable for a BioRad Laser-Scanning-Microscope 1024, is listed in Subheading 2.4. 13. If a particular secondary antibody gives a high background, it can be preadsorbed with excess of fixed ovaries, as described in Note 10. 14. Usually, the samples are incubated in the secondary antibodies at room temperature for 2 h. Alternatively, the samples can be incubated for 2-6 h at room temperature or overnight at 4°C. If a particular antibody is showing a low signal-to-noise ratio, one has to determine empirically the proper incubation times and antibody dilutions. 15. The TOTO-3 dye was chosen for DNA staining, because it is detected in the blue channel, which allows the green and red channels to be used for the detection of cellular protein-specific signals. 16. Propidium iodide can be used instead of TOTO-3, but its signal will be detected in the red channel and, therefore, the secondary antibodies have to be chosen according to what other channels are available on your microscope. 17. For DNA staining, add 1 |L of concentrated propidium iodide (1 mg/mL) to the microcentrifuge tube and incubate the sample for 30 min at room temperature on a rotating wheel. 18. Vectashield mounting medium prevents rapid photobleaching of a wide range of fluorochromes, including those mentioned in this chapter. 19. The dissection of ovaries into individual ovarioles is the most delicate part of the entire immunostaining protocol. With sharp tungsten needles, one can easily disrupt the peritoneal sheath, then remove the epithelial sheath and reach the egg chambers. 20. The germaria can be separated from each other by disrupting the apical region of the ovaries with tungsten needles. 21. Care should be taken not to allow the cover slip to move while removing the excess of mounting medium with 3MM paper. 22. 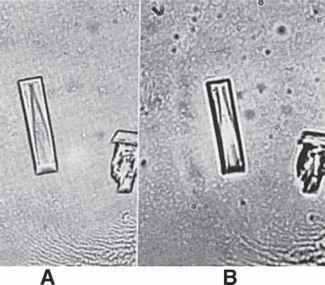 If the microscopic specimens are prepared and stored as advised, they can be re-examined several times, which is of a great importance because details often need to be clarified with respect to a certain staining pattern. 23. If the Schneider's medium is supplemented with FCS (10% final concentration) the isolated germaria can be kept alive for at least 60 min. 24. Do not exceed the 20-min fixation time. Prolonged fixation may result in poor antibody penetration and weak staining. Reducing the fixation time to 10 min may result in a higher signal-to-noise ratio, improving the quality of the immunostaining. 25. The penta-PBT treatment it is crucial step in this protocol, because after the strong fixation, it makes the tissues permeable to antibodies. 26. This fixation time must be adhered to. Longer fixations will result in low antibody penetration. 27. During fixation, the vigorous shaking may alter the cells' internal structures and produce artifacts. 28. After fixation, PBS is used in this protocol to reducing the possibility of extracting proteins from cells through the action of Triton X-100. 29. Prior to fixation it is important to remove all of the wash solution from the ovaries. Empirical observations suggest that complete removal of the wash solution is necessary for successful fixation. 30. If the observed and expected staining patterns are found to be completely different, the DMSO and/or di-PBT treatments might be too "harsh" for the egg chambers/eggs. Leave out or reduce the duration of the DMSO treatment and/or replace the di-PBT solution with PBT or PBS. 31. Exceeding the fixation times will produce artifacts! 32. An alternative methanol-based protocol has been described by Tavosanis et al. (108). In their protocol, the mature eggs are sonicated in methanol. According to Tavosanis et al., dissect the ovaries in absolute methanol and transfer to a 10-mL plastic tube containing 2 mL of fresh methanol. Sonciate approx 10-20 single ovaries using a Sonifier B-12 (Branson Sonic Power Company) fitted with a cone-shaped probe approx 3-4 mm in diameter at the bottom. Sonicate in five cycles of 1 s each. Transfer oocytes freed of chorion and vitelline membrane to fresh methanol and keep at room temperature for 2 h, then carry through a standard immunostaining protocol. 33. This is the most delicate part of the protocol, and all the chorion and vitelline membrane must be removed completely from the eggs. 34. An alternative fixation can be considered if the antibodies encounter problems in penetrating the eggs. This would include a 10-min treatment with absolute methanol, followed by a treatment with acetone for 10 min, and, finally, a 60-min incubation in absolute methanol. 35. After fixation, a stepwise rehydration can be done by carrying the samples through 70%, 50%, and 30% methanol (diluted with normal water) and PBS. Each step should last at least for 5 min. 36. It is crucial for this experiment to use well-fed females and to synchronize the egg-laying activity of the females. Stick a piece of filter paper to the internal wall of the egg-laying cage and carefully replace the plates. While the eggs are being collected, put only traces of yeast on the plates. 37. An alternative method to collect eggs recently released from ovaries is as follows. Squeeze out the eggs from the uteri of CO2-anesthetized females by applying slight pressure on abdomens with forceps or a tungsten needle. Dechorionate the eggs on double-sided tape and immediately put them into the fixative mixture. 38. The time interval between egg collection and fixation should not exceed 5 min! It is crucial to wash the eggs and remove the chorion as fast as possible because the eggs/embryos are alive during these procedures. 39. The cold acetone treatment and cutting the eggs/embryos in half greatly improve the antibody penetration, thus allowing structures associated with female meiosis II, the sperm aster, and gonomeric spindle to be visualized by immunostaining.